For the first time, the Reserve Bank of India will issue a 200-rupee currency notes to stop blackmoney. Today the Finance Ministry has declared a notification. 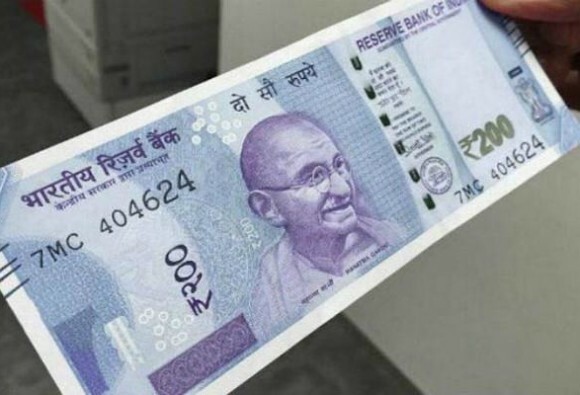 200 rupee note will come in the market in the first week of September One source said that there was no currency notes between Rs 100 and Rs 500. An official of the RBI said that there was no currency notes between Rs 100 and Rs 500 notes. Because of this, now people can experiment more on these new currencies. This note will be more useful in small costs. After the note-maker, there were many cases against which the 2000 rupee note was used to increase blackness. The notes of 200 rupees will have two benefits. First, cash transactions will be simplified and the number of other small notes will increase.